Need a gear upgrade? Submit a comment to enter. See the full contest rules below. Update: the contest is now over. Thanks to everyone who commented, and congrats to the winners: C. Moore, Caleb G., Terry C., Patrick S.
Springtime has brought some great gear through the GearJunkie office. 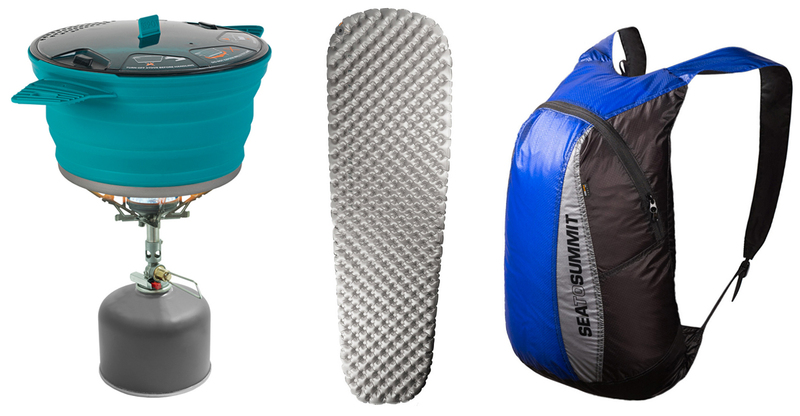 Among the most innovative, the Comfort Plus Sleeping Pad and X-Series Cookware from Sea to Summit. The company has given GearJunkie a few extra items to give away to readers in need of a gear upgrade. That’s it. We’ll pick the best four answers and award the gear. RULES: Submit as many responses as you want. Be creative and fun, nothing crude. Winners are domestic USA only. Must be 18 years or older. We will pick the four most interesting, funny, or real reasons as our winners. Winners will receive 1 of the above prizes. Contest end date: July 10, 2015.